The term disability is used to describe those people who suffer from a physical or psychological impairment. In a work place environment this can mean a disabled person may be limited in their ability to carry our certain tasks that an able bodied person could do. At work it is the responsibility of the employer to finding effective solutions to assist and ensure that disabled workers are not hindered unnecessarily when carrying out their duties. In the United Kingdom their rights are protected and promoted by legislation called the Disability Discrimination Act 2005. This legislation which is also referred to as the DDA originally came into law as the Disability Discrimination Act (DDA) 1995. It was however amended extended and updated in 2005. The DDA came into existence to end discrimination and promote equality for all. It not only covers employment issues but also access to services, education, ensuring disability-related adaptations are in place for buildings. 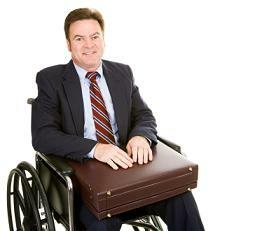 A disability could have been with the individual since birth or may have been caused by an accident or illness. In these circumstances in most developed countries governments focus on helping disabled people to live independent lives.